Baby Boomers are asking for more. Sixty-five percent of them expect an adventurous retirement, according to a 2005 study led by the research group Age Wave. Steve Black, a boomer and organizer of offshore cruising rallies to the Caribbean, says his experience suggests the research is on the money. A lot of boomers are looking for adventure and new experiences. So they dash off an application to sail in one of his offshore rallies. Many of his applicants are experienced smaller-boat sailors who may have cruised the Caribbean once or twice with several couples on a larger yacht. Now ready for retirement and eager to fulfill a lifelong dream, they have bought a new 50-foot sailboat, and they want to go bluewater sailing. They often come to Black as novices, but they usually are quick studies. “An awful lot of these people are used to running their own businesses,” he says. “They are a more adventurous group.” They sign up to crew on someone else’s boat in a rally or two. They attend seminars. They take classes. They bring experienced crew with them on rallies. “The experience issue has not proven much of a problem,” says Black. The ones who really want to cruise offshore do it. 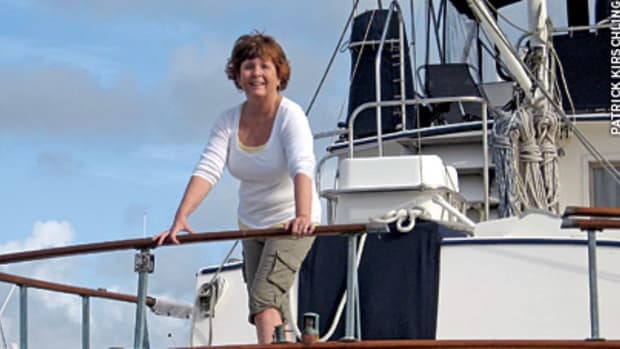 Charter operator Barb Hansen has seen the same single-mindedness among trawler owners. “We get people who think they want to go cruising, but they don’t know anything about it, so they go to our school,” says Hansen, co-owner of Southwest Florida Yachts in North Fort Myers, Fla. (www.swfyachts.com). Sometimes they charter a few times and like it, decide to buy a boat, then put it into charter until they retire. 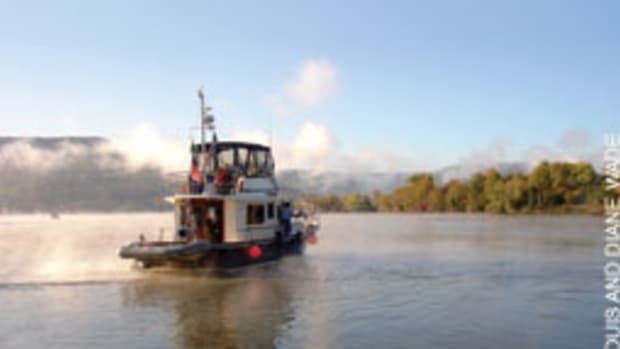 For many who are about to retire, their dream is to work up to cruising the Great Loop, an adventurous 5,000-mile circumnavigation of eastern North America that includes the Atlantic Intracoastal Waterway, Hudson River, Great Lakes, Canadian Heritage Canals, Illinois River, Tennessee-Tombigbee Waterway, Mississippi River and the Gulf Intracoastal Waterway. “If all the people who say they’re going to do the Great Loop go ahead and do the Great Loop, it’s going to be very crowded,” Hansen says. One couple who have set their sights on the Loop are Bill and Amy Denison, who live along New York’s upper Hudson River near Hopewell Junction. Bill Denison, 57, an aircraft technician for 30 years, planned to give his retirement notice the day after he spoke with Soundings in March so he and Amy could move forward with their plans to go cruising. The couple have owned ski boats for 18 years, using them mainly on lakes in the Adirondacks. “We always wanted to get something larger, something we could sleep on,” Denison says. As retirement age neared, they prepared themselves for getting that boat and doing some cruising. In 2003, they took a boat-handling and near-shore cruising course with Hansen’s company, which included chartering a Grand Banks 32. “That whetted our appetite for a trawler-type boat,” Denison says. Two years later, they completed South Florida Yachts’ offshore course and cruised from Fort Myers to Key West and back with a captain. Hansen helped the couple find their retirement boat, a 42-foot Grand Banks with twin 375-hp diesels. “The boat will really get up and go, but we intend to travel most of the time at 8 to 10 knots,” Denison says. He wants both fuel economy and reserve speed. Before buying Mar-Kat, named for daughters Margaret and Kathleen, “We went to boat shows. We went to [PassageMaker magazine’s] Trawler Fests. We went to all the events that exposed us to different styles of boats,” he says. Recently, they’ve been attending seminars at Trawler Fest (www.trawlerfest.com) and Passagemaker University — an educational extension of Trawler Fest — to learn all they can about cruising. Their plans: vacation in Mexico, cruise Alaska on a crewed 65-foot steel-hulled trawler, do the Great Loop or half the Loop on their Grand Banks, and spend time at their second home in the Adirondacks. Denison also may work a week or two a month as a safety consultant certifying corporate jets. And he expects to do much of the boat maintenance himself, since he is well-qualified. It’s a full plate — but one that he and Amy are looking forward to. For many, the great adventure is the pot of gold at the end of the rainbow that leads to retirement and the fulfillment of a long-cherished dream. “I think most of the people we see buying our boats are retirement age,” says Jim Leishman, vice president of Pacific Asian Enterprises, the Dana Point, Calif., builder of Nordhavn oceangoing passagemakers (www.nordhavn.com). Many of a younger age may be able to afford a Nordhavn, and they may desperately want to own one, but they don’t have the time to use it yet, he says. Buyers typically are in their late 50s or early 60s, affluent, often still working but nearing retirement, and looking for a window of time when they can go cruising, do some exploring, have some out-of-the-box experiences. transport.com). The cost isn’t cheap — $26,000 to $40,000 to ship a 50-foot motoryacht from Fort Lauderdale, Fla., to Genoa, Italy, depending on the season — but it does extend a boat’s cruising range. “We’ve made it possible for smaller yachts to cross oceans, yachts that don’t have the range or seaworthiness to do it on their own,” says Dockwise president Clemens van der Werf. Nordhavn passagemakers, on the other hand, are designed to cross oceans on their own bottoms. They are heavily built, slow-speed, full-displacement, single-screw vessels with modest horsepower that deliver fuel efficiency, long range and comfort in offshore seas. Leishman foresees a spike in long-range cruising as boomers begin to retire. 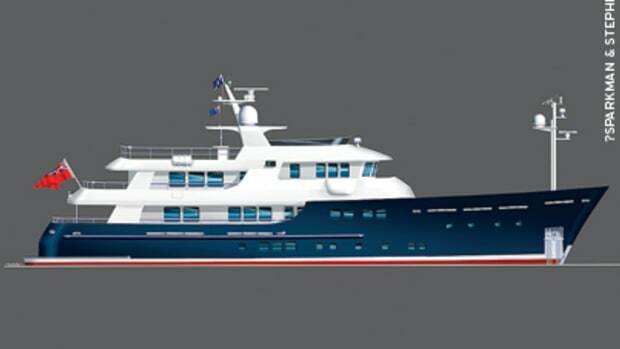 In fact, the builder plans to introduce a long-range motorsailer this summer. With its 165-hp Lugger diesel, variable-pitch props and powered main and headsail furling, the Nordhavn 56MS will cruise at up to 9 knots, offering gallon-an-hour fuel efficiency and a 3,000-nautical-mile range at slower speeds. The motorsailer is frugal — it sips fuel — but for a retired couple it also can be just the bridge they need between a sailboat that is too physically demanding and a power cruiser, which handles most heavy lifting with pushbutton controls. 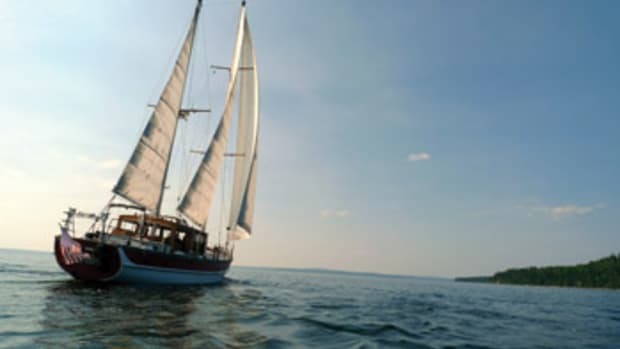 Dr. Richard Curtin, director of consumer surveys at the University of Michigan, has found that two-thirds of all registered sailboats are owned by boaters older than 50, so he expects sailboat ownership to tick upward over the next 10 years. However, beyond a certain age — usually sometime in their 60s — sailors get tired of grappling with sails and fighting the vagaries of wind. 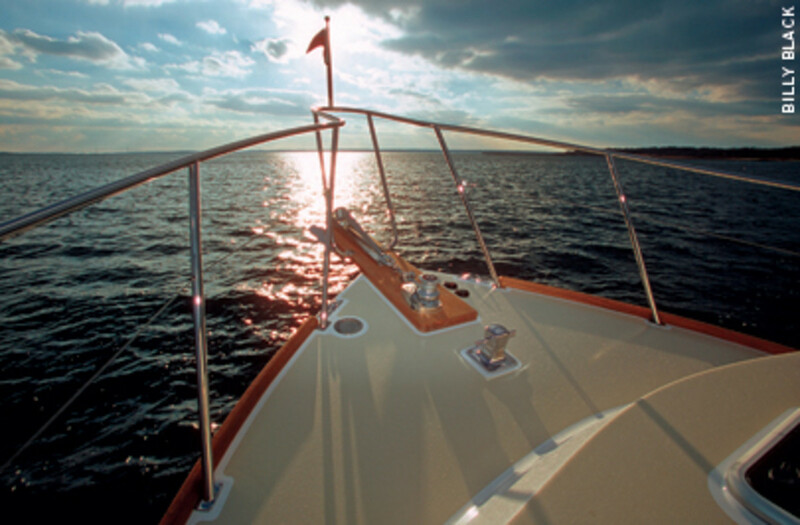 “The more economical powerboat is where the sailboat people are going,” says Bentley Collins, vice president of Sabre Yachts, the South Casco, Maine, builder of high-end sailboats and power cruisers (www.sabreyachts.com). They want a single engine, modest horsepower and a displacement or semidisplacement hull, he says. Or they are opting for easier-sailing sailboats, says Eric Cressy, executive vice president of Pearson’s True North Yachts, the Warren, R.I., builder that offers a line of single-screw power cruisers based on New England lobster boats (www.tnyachts.com). Cressy says the Alerion Express line of sailboats from 20 to 38 feet, also built by Pearson, are classic in design and with all lines leading to the helm so the skipper can single-hand the boat. And the 38 has electric winches (www.alerionexpress.net). The Alerions are designed to be easy to sail and thrifty at the fuel pump, he says. “I think we’re going to evolve back to people thinking about ways to build a more efficient boat,” says Nordhavn’s Leishman. The high-profile professionals and business people who can afford a Nordhavn — base price for the N55 is $1.5 million — are increasingly sensitive to owning gas-guzzlers. “A guy runs for public office and goes down to the dock and steps onto his 200-gallon-an-hour boat,” he says. It’s going to leave a size-20 carbon footprint. With fuel costs and global warming on the political radar, boomers’ love affair with the SUV and other “fuelish” toys may be about over, agrees Bruce Nelson, West Coast sales coordinator for Glacier Bay, a Union City, Calif., builder of diesel-electric power plants for yachts (www.glacierbay.com). “Boomers historically have been associated with or looking to be associated with causes,” Nelson says, and green is good now, at least in theory. Diesel-electric propulsion — use of a lightweight, high-efficiency diesel generator to power an electric motor — is one of the green technologies that seems to be gathering a head of steam. Glacier Bay has systems aboard a 73-foot custom passagemaker, a 43-foot Leopard catamaran in charter with The Moorings, and a 47-foot Crowthers catamaran built in Chile. In the early stages of adoption in pleasure boats, it is “really cool technology” — very quiet and fuel-efficient, attractive features for cruisers, Nelson says. “The real savings in fuel is going to be of interest to everybody,” he says. 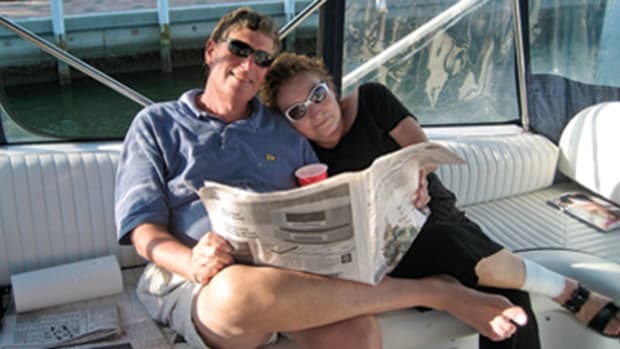 And its super-quiet operation should be a big plus for retired couples who are seeking to “socially reconnect” on their boats — to each other, to family, to friends. 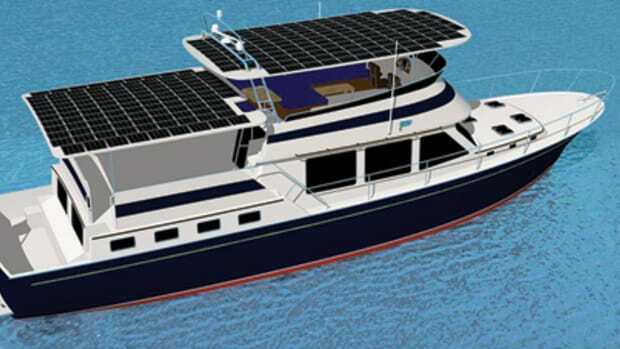 Nelson expects diesel-electric will find an enthusiastic following among fuel-conscious offshore anglers, coastal trawler cruisers and even world cruisers. “I think it’s going to come on pretty fast,” he says. A company’s “environmental story” also is important to a lot of boomers, says True North’s Cressy. True North stresses the efficiency of diesel power and single engines, and touts its SCRIMP resin infusion technology, which minimizes emissions. Pearson recently acquired PDQ Catamarans, a power cat that can cruise at close to 10 knots on less than 4 gallons of diesel an hour. He believes performance efficiency like that is going to turn heads and make sales. “Their demands and needs, their leisure time and activities are as potent a combination as you could imagine if you’re in the boating industry,” says Schiff. He says as these folks retire or work into their retirement years, they demand flexibility in their use of leisure time. Many are opting for fractional ownership so they can “slice and dice” their time to pursue many leisure activities and get the most out of their investments in second and third homes, yachts and jets. They want it all, so “instead of ownership, it’s subscription,” Schiff says. “Baby boomers have a whole different mentality,” or at least some do, agrees Loren Simkowitz, founder and president of Monocle Fractional Yachts, a Fort Lauderdale, Fla., firm that manages and sells ownership shares in yachts from 90 to 328 feet (www.monocleyachts.com). Some don’t want to own a yacht outright, not the whole thing. They want to own a piece of the yacht and a lot of other things as well. Simkowitz says these boomers often take multiple vacations as they work well into their 50s and 60s. They go cruising, skiing, to the Med, to the South Pacific. They don’t want the aggravation of managing property. They’d rather pay someone else to do it for them. And instead of spending $500,000 or more on a 50-footer, they’d rather sink that money into a 1/10 share of a 100-footer — fully crewed. A half-million dollars buys four weeks a year on it for five years. Schiff calls this the “concierge model” of fractionalization. The management company takes care of all ownership responsibilities so the owners can spend time with friends and family instead of on repairs, upkeep and operation. 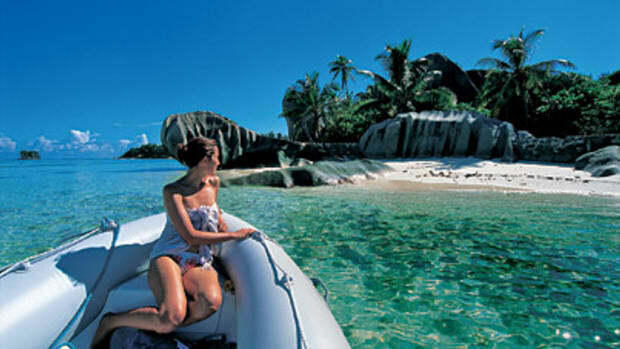 Another model, the “coaching model,” is for owners who see yachting as more than time spent getting away from it all. They see boat ownership as an opportunity to challenge themselves and master a new skill: seamanship. They want to apprentice under a guru who can teach them to be an expert yachtsman. “Yachts are becoming more sophisticated,” Schiff says. If owners want to know their boats from the keel up, this is one way for them to learn. With developable waterfront scarcer and costlier than ever, a boater closing on retirement may want to consider buying instead of renting a slip to secure long-term access to it. Slips for sale or long-term lease are becoming more common in some markets. Many of these are in vertical dry stacks that use innovative technology to lift much bigger boats. Andrew Sturner’s Vertical Yacht Club, a dry stack planned for Marina Mile in Fort Lauderdale, is designed for 46 yachts to 85 feet and weighing up to 180,000 pounds (www.verticalyachts.com). Sturner’s Hercules lift system uses a computer-guided overhead bridge crane and high-tech open-rack system to place each boat in its own private, enclosed temperature- and humidity-controlled pod or suite. Built to withstand a Category 5 hurricane, the facility also will provide owners a lounge, conference center, gym, spa, concierge and offices for captain and crew. “A high-tech approach to megayacht storage is long overdue,” Sturner says. Aerospace engineer Richard Lydle, of Naples, Fla., is planning a 400-slip hurricane-resistant dry stack in Palm Beach Gardens for yachts to 65 feet and weighing 100,000 pounds. Lydle’s Aero-Dock system uses cushions of air to move boats, a technology he says already is used in industrial applications for heavy lifting. Both marinas are offering slips either for sale or for a boat owner’s exclusive use under a long-term club membership. As our home waters become more congested and boating becomes pricier, some retirees may choose to migrate to overseas retirement communities, where they can find outstanding boating and fishing. “These are fairly wealthy people who are buying their second, third and fourth home down there,” says Kaye Pearson, chairman of the Chub Cay Club, a $250 million sportfishing getaway in the Bahamas (www.chubcay.com). Sometimes several families go in together to buy a home on Chub Cay as part of a retirement plan to own two or three vacation properties — maybe one in the Caribbean, another in Colorado, a third in Europe. A townhouse or villa at Chub Cay costs from $1.5 million to $4.5 million. Condominium slips at the marina fetch $400,000 to $500,000. Its location along the divide between the mouth of the deepwater Tongue of the Ocean and the Great Bahamas Bank gives anglers the chance to fish 2- and 3-foot-deep flats on one side and troll for blue marlin in 6,000 feet of water on the other. It’s a sport angler’s dream, yet most of the money going into Chub Cay is old money, Pearson says. Much of the baby boomer retirement money is going into timeshare units elsewhere in the Caribbean and Central America — Costa Rica and Panama, for instance — some of it at vacation resorts like the Ritz Carlton Club in the Abacos, he says. Blomgren believes that as Florida taxes and insurance trend up, retirees will be tempted to look farther south for their Shangri-La, to places that remind them of the “good old days” when America’s beaches and waters were uncrowded and undeveloped. Most of these overseas developments are “secure,” gated communities and offer a range of activities — boating, fishing, tennis, golf, hiking, kayaking. He cautions prospective buyers to vet locales for political stability, accessibility by air and nearby medical facilities. “Panama is a bargain,” Blomgren says. Prices there are comparable to what they were 12 to 15 years ago in Costa Rica. “I’m taking my boat south,” he says. But he advises retirees not to think small. “This could be a place for someone who can afford a place in Costa Rica but also one who wants to cruise America,” he says. Why not go cruising and retire to a getaway in Panama or Costa Rica? How the retirement of America’s 76 million boomers will play out — and what kind of boating they will choose to do, what kinds of boats they will choose to own — remains to be seen. Pearson suspects that higher fuel prices, soaring taxes and insurance rates, and a faltering economy may be giving many boomers pause to consider downsizing their retirement — or deferring it. Sabre’s Collins agrees. “I don’t think this baby-boomer retirement thing is about a specific time and date,” he says. “I think it’s going to stay in flux for the next 10 to 15 years.” It should be an interesting ride.